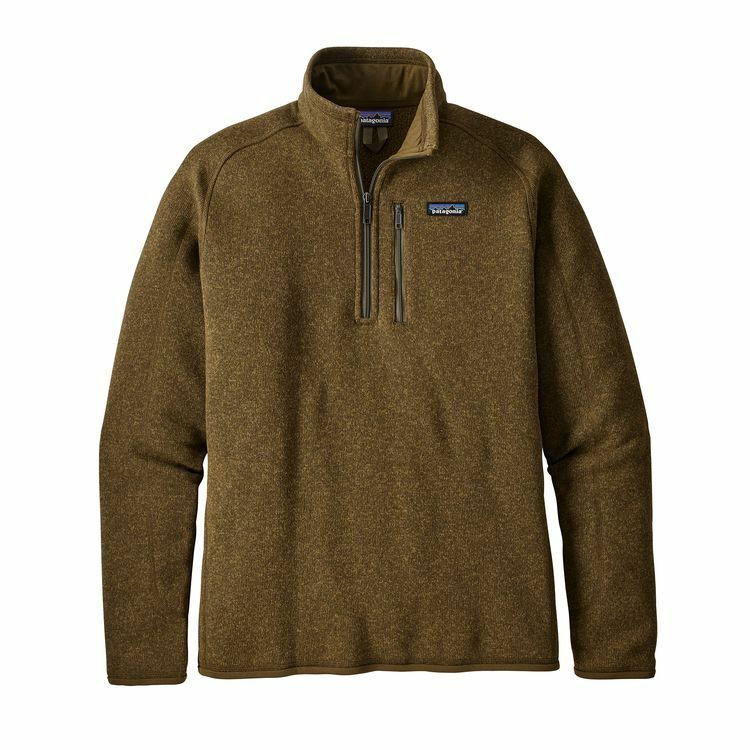 "A warm, easy-wearing, bulk-free quarter-zip thats Fair Trade Certified for sewing and made of a knitted, heathered polyester fleece. Beachbreak for breakfast and bouldering for lunch. When the sun starts to set, throw on a Better Sweater while dinner cooks and you spin tales of a well-lived day on the Central Coast. Featuring a sweater-knit exterior and a soft fleece interior, the much-loved Better Sweater -Zip is an easy-wearing, moisture-wicking pullover that provides bulk-free comfort and warmth for whatever activities youre ticking off the list. Built from 10-oz 100% polyester knitted fleece dyed with a low-impact process to significantly reduce the use of dyestuffs, energy and water, it has a stand-up collar with zipper garage for next-to-skin softness, raglan sleeves for mobility and back seams that create a classic silhouette. Micropolyester jersey trim at the collar, cuffs and hem wicks sweat, and a zippered chest pocket secures keys and cash.